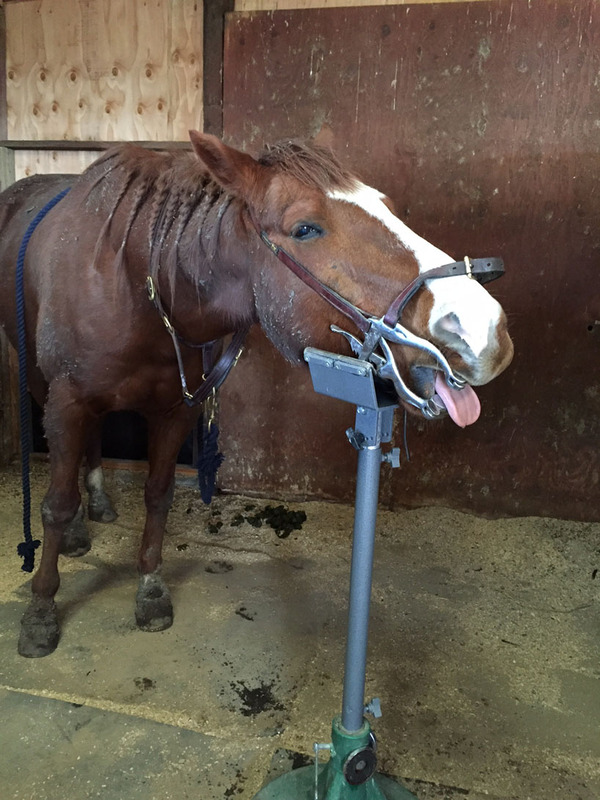 Nothing better than a close up of drugged and dirty Wilbur getting dental work done. Swamp thing in the flesh. All told the dental, sheath cleaning (yes, I'm a wuss, lazy, and will happily pay someone else to deal with it), and vaccinations were smooth and easy. I got a call from the vet office about an hour before the appointment and I groaned thinking they were going to say the vet was running late. She actually wanted to come early- yes please! This is actually great! Wilbur's vet, Natasha, had left the Pioneer practice and moved down to San Diego and I had yet to reestablish a relationship with the hospital and a new vet. When I called to make his appointment it turns out that Pioneer now has a vet who specifically handles the East Bay- whoohoo! Additionally the tech that came out had already worked with Wilbur and assisted in Ellie's vet check. I was glad to have made the appointment even though we have a few interested buyers at the moment so he can go to his new home ready to rock and roll! Have you been to the new Pioneer location? I hadn't been up there in forever, SO NICE! Dr Williams and Tech Brooke??? They're the excellent. Jen was our vet for 8 years, she is best of the best.